Find links to a variety of websites that will help your student both become a better reader and learn the joy of reading a good book. The 39 Clues books to follow Amy Cahill and her brother Dan as they travel the world to hunt for Clues. Foxcraft – In order to survive, she will need to master the ancient arts of her kind—magical gifts of cunning known only to foxes. She must unravel the secrets of foxcraft. Infinity Ring is a time-travel adventure book series, online game, and mobile app for children, masterminded by James Dashner. Join the quest to save history. I Survived – Watch and listen to the true survival stories of people that escaped life-threatening situations and survived to tell the tale on the LMN series I Survived. 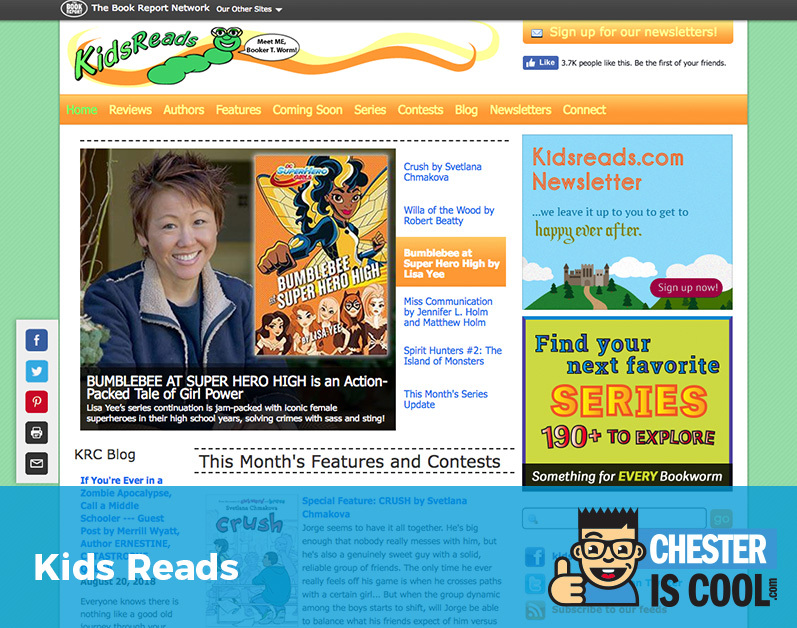 Kids Read – Features a vast book database, contests, articles, author news and links, and many lists, including of newly published books. The Marvels – Brian Selznick’s THE MARVELS, published by Scholastic. Secrets of Bearhaven is a fiction book series for middle-grade readers. Spirit Animals – Fans of the fantasy book series for kids, Spirit Animals, by Sean Williams, Maggie Stiefvater, and Marie Lu, can find book series information and free games. The Stacks for Kids, the new destination about books, reading, authors, games. 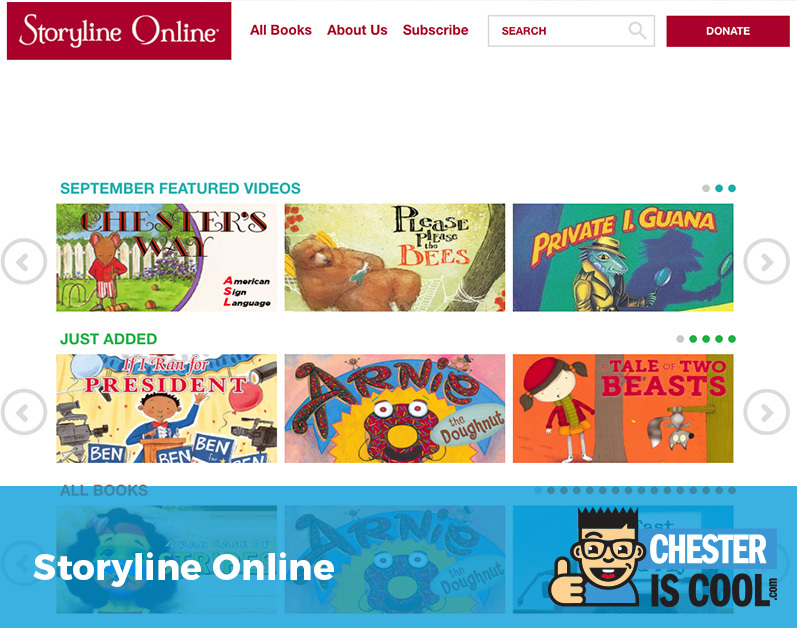 Storyline Online – Streaming video program featuring famous people reading children’s books aloud. TeachingBooks.net’s database of instructional materials will enliven your K–12 reading and literacy. TombQuest is a new five book series from author Michael Northrop filled with mummies, magic and adventure! 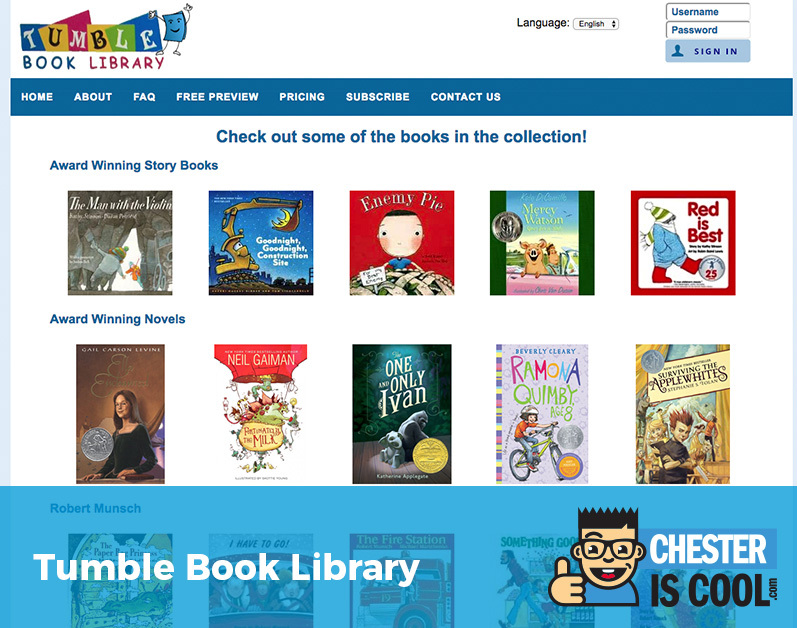 TumbleBookLibrary is an online collection of animated, talking picture books which teach young children the joys of reading in a format they’ll love. Upsidedown Magic – It’s never easy when your magic goes wonky. Nory, Elliott, Andres, and Bax are just four of the students in Dunwiddle Magic School’s Upside–Down Magic class. Wings of Fire – Five dragonets are collected to fulfill the prophecy, raised in a hidden cave and enlisted, against their will, to end the terrible war.